Anne Abbass is a Toronto based artist and printmaker. 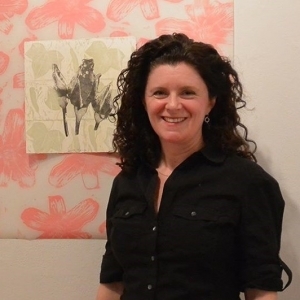 She holds a Bachelor of Fine Arts from Queens University (1993) with a focus on printmaking. Anne was awarded the Don Phillips Scholarship at Open Studio in 1994 and has been an artist member of Open Studio since then. Anne has worked as a user experience consultant helping companies to design and improve their online experience, She is currently dedicating more of her time to creating prints in her home studio and managing life with her young family. She currently sits on the board of the Artbarn School in north Toronto and volunteers in several other community initiatives.